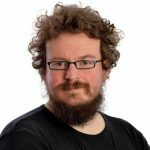 Our News Editor Dan Holloway starts a timely conversation about intellectual property and how it affects indie authors. Read on, then join the debate via the comments box. You know that it really must be the case that “everything has a day these days” when there is a World Intellectual Property Day. But those of you who have followed my weekly news round-up at all over the past year will be able to imagine just how excited this discovery has made me. The purpose of “days” is primarily to start conversations, and with that in mind I want to make this post more about getting you to share your own thoughts and start your own conversations than about me pontificating (I do enough of that). So I want to look, very briefly, at some of the ways that intellectual property touches on our lives as writers. The first thing to say is that as writers, intellectual property affects us all. And not necessarily in the ways that we think. It is easy for us to assume that intellectual property is all about piracy. And it includes that, but it includes so much more. Each of these involves intellectual property, and the laws and conventions around it, in very different ways. I want to finish with a brief outline of Creative Commons , an alternative way of doing copyright that has caught the imagination of millions of digital creators. It comes from the open access movement, which is firmly committed to allowing everyone to use everything that has ever been created in order to move the world forward, but it can be used by everyone, and you will see it used everywhere. 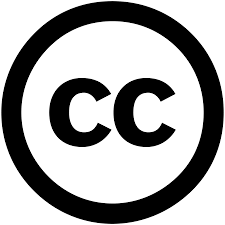 The creative commons site creates a licence to reflect this and, if you wish, a means of attributing your content to you whenever it is shared. You get to control what happens to your work, and others still get to use it. Intellectual property matters to all of us, but for many of us it means different things. Fortunately, my word count limit means that I won’t stir the pot with my own thoughts, but I do want to know, what does it mean to you? Agreed, and those ever-tighter copyright laws cause a lot of collateral damage. Companies lobby furiously to extend copyright because they have a few, extremely lucrative works, but by doing so, they also prevent far more, no-longer-economically-relevant works from entering the public domain. There’s also the problem of people not using material in ways that are legal, because of the fear of being sued. I’d love copyright law to be simple and easily understood. Great piece on your blog, Karl. I deliberately didn’t state my own opinions here (I’ve done so at great length elsewhere) but I figured giving the last word to Creative Commons probably got across my feelings. I agree with you wholeheartedly. I’ve been using open source software since the late 1990s, so I have a lot of time for Creative Commons. I like the idea of copyright, but it seems that every time there is any suggestion of limiting copyright, reducing length of copyright protection, etc, there are cries of anguish from publishers and authors. If the intent of copyright is to encourage creativity and allow creators to make a living (as I believe it is, or at least, should be), then I’d like to see evidence-based copyright reform, to fit those aims.